Ten years ago, you would have had an impossible time finding high-end cosmetics outside of a department store, let alone on sale. Now, facing assault from both fellow brick-and-mortars as well as online-retailers, the inevitable tide of discounting has reached the department store’s ground floor: after first diluting the prices of nearly everything else, markdowns have finally hit the makeup counter. The beauty bar has been the centerpiece of department stores for decades. In the face of storewide markdowns, luxury cosmetics have outlasted apparel, handbags, and accessories, remaining as dependable merchandise for stores and a pricey splurge for customers. In addition to brand recognition, the historically high price of luxury makeup is a result of packaging and marketing, with the makeup counter serving as a particularly aggressive form of promotion. Upon entering a store, patrons are greeted by brightly lit, glass-protected products. Sales people stand by to sell the products, which can be tested and returned after purchase. (A former Nordstrom employee told me customers would return half-empty bottles of foundation and used lipstick after months.) In any case, the experience is indulgent, especially compared to a trip to the drugstore. 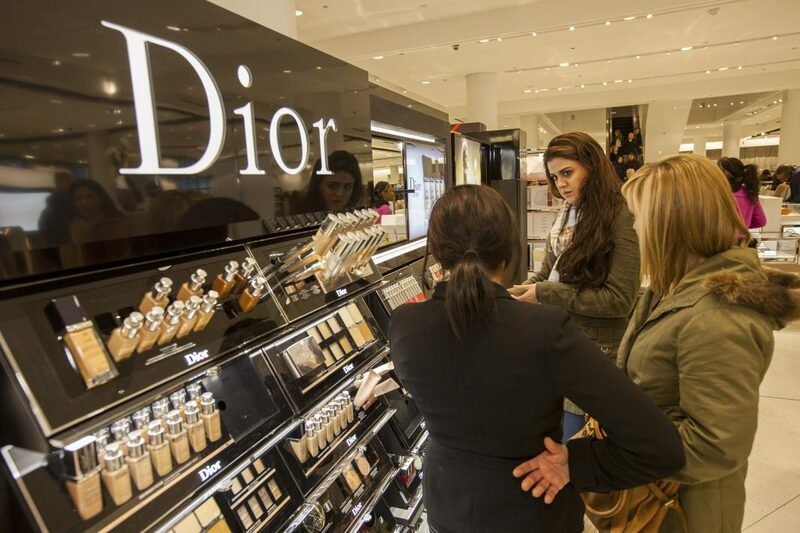 While the move to discount luxury cosmetics is unprecedented, it’s unsurprising. With mass closures and slumping stocks, department stores are the faltering giants in a battered retail industry. Macy’s recently ran a nationwide cosmetics sale, while its daughter store, Bloomingdale’s, began offering loyalty members generous rewards on cosmetics. Stores whose stocks aren’t suffering, like Lord & Taylor, are following suit.